The best way to meet Colorado’s growing water demand and still protect irrigation water rights is probably a combination of increased surface storage and underground, or aquifer storage. But even that combination won’t bridge the gap between water demand and supply. 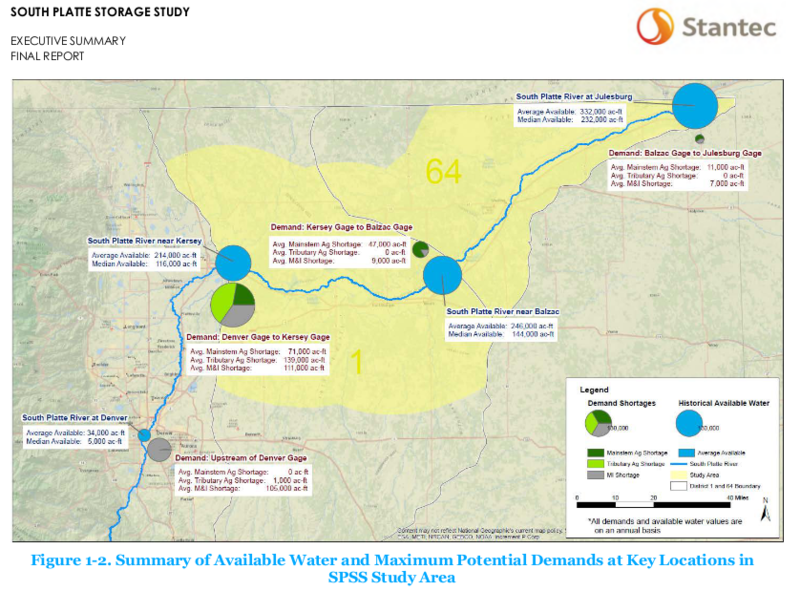 That’s the good news and the bad news from the recently-completed South Platte Storage Study Final Report, released Dec. 15. The report was written by Stantec, a Canada-based design, engineering and construction firm, and Leonard Rice Engineering of Denver. Experts already have said that water conservation alone won’t bridge the gap as thirsty Front Range cities continue to grow; even legislators have made it clear that they want to see proposals for storage as much as for conservation. 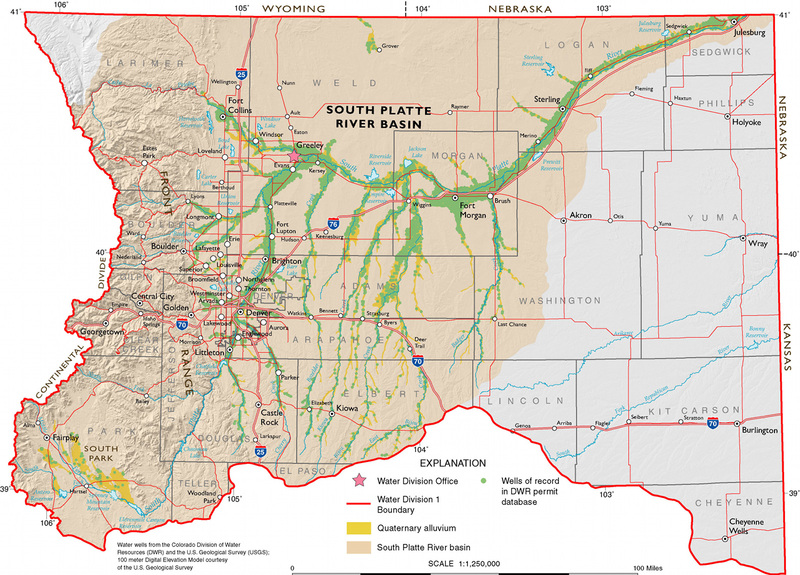 According to the SPSS report, it’s estimated that the South Platte carries almost 300,000 acre feet of water per year out of Colorado in excess of the amount needed to satisfy the South Platte River Compact with Nebraska. There are, however, a lot of “buts” that need to be attached to that broad statement. For one thing, that’s not an average, that’s what the study authors called an “annual median.” That’s the middle number between the largest and smallest amounts that are lost; median, or “mean,” often is used instead of average because it’s a more accurate estimate of something over time. Actual losses over a 20-year period between 1996 and 2015 varied from a paltry 10,000 acre feet to a whopping 1.9 million acre feet. It’s important to note that stream flows during that time frame included one of the largest floods in the state’s history and a follow-up flood that did nearly as much damage in the lower reaches of the river, as well as a period of extended drought. That may not be easy; according to the report, massive amounts of water would have to be diverted. That’s as much as some of the largest diversion structures now on the river. 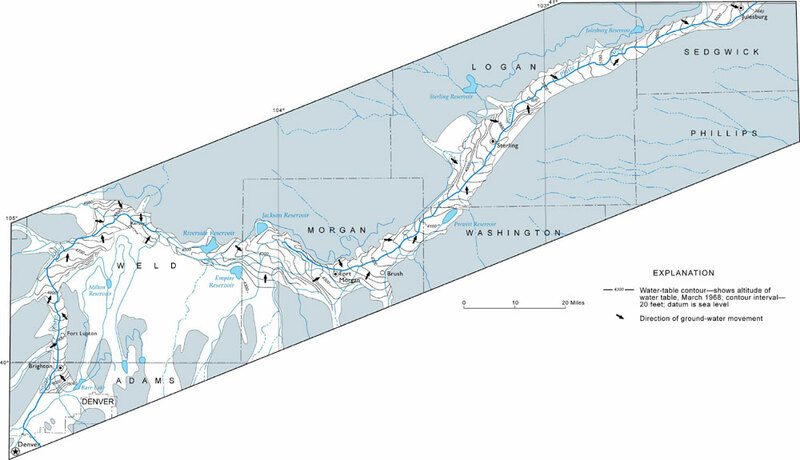 The North Sterling Inlet Canal, for instance, was taking around 520 cfs before cold weather and icing required it to be scaled back. Prewitt Reservoir Inlet can divert as much as 600 cfs when the water’s available. It’s important to note the phrase “85 percent of available water.” Elsewhere in its recommendations section the report states that capturing all of the excess water is simply not feasible, and that’s not just during flood conditions. Still, finding and optimizing storage is a must if there is to be any hope of providing enough water to go around. The report, naturally, recommends a combination of storage methods, and even suggests that a cooperative effort of upper basin and lower basin storage concepts would be more efficient and store more water than a major “on-stem” reservoir. On the other hand, the on-stem option would be easier to build and yield more water quickly; it also faces possibly insurmountable permitting requirements. No water storage concept is without good-versus-bad arguments. Aquifer or “underground” storage is complicated to manage but cheaper to create, and it can be easily ramped u over time. Storage options are grater in the lower basin but they’re further from where the water will actually be needed. Underground storage is great for agricultural use but the water would have to be extensively treated for municipal and industrial use. The study even raised some new questions and left unanswered some old ones. For instance, abandoned gravel pits weren’t even included in the project, and the SPSS authors recommend further study of that option. They also recommend further studies of the South Platte above Kersey and of the Cache la Poudre basin. Ultimately, the study’s authors say, the SPSS is a “starting point” and further investigation of any of the storage methods or sites would be needed. The Colorado Water Conservation Board and the Colorado Division of Water Resources is holding a series information and input meetings on the new Agricultural Water Protection Water Right law. A handful of local farmers and other interested parties attended the session on Wednesday at the Sterling Public Library. 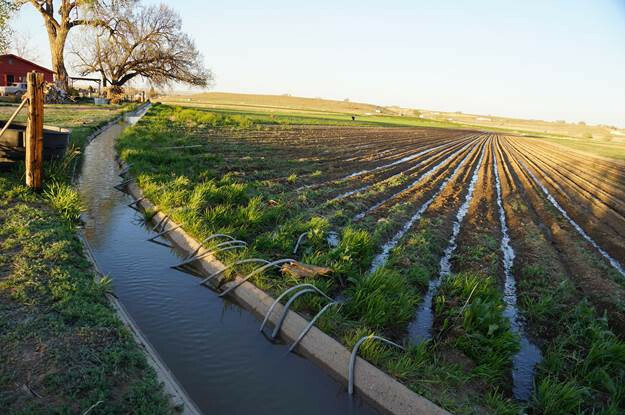 The new law, which was sponsored by both Rep. Jon Becker, R-Fort Morgan, and Sen. Jerry Sonnenberg, R-Sterling, installs safeguards in the event that irrigators want to change part of their water right to a new beneficial use. Deputy State Engineer Kevin Rein conducted the session, first walking through the process of writing rules and regulations to put the new law into effect, and then encouraging questions and discussion of the new rules. 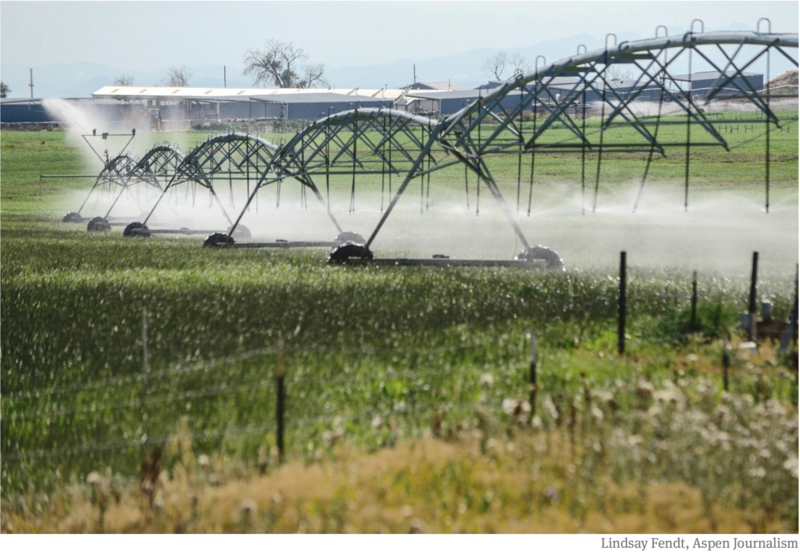 Much of the discussion centered around whether the new program was even feasible for individual irrigators or would be a better fit for irrigation districts and ditch companies. It was generally agreed that, because of costs and the intricacies of water law, the larger the entity managing the lease, the better the plan would work. Individual irrigators could pledge a certain number of their water shares toward the ditch company’s AWPWR program and let the company worry about return flows, legal fees, and other details based on the total amount of water leased. There also was significant discussion of just how much water a farmer could lease. The new law limits the amount of water an irrigator can lease out to half of his consumptive use right. That’s to help make sure most of the irrigation water still goes to irrigate crops. Early in the discussion, Rein displayed a graphic that showed a water right that allowed 10 cubic feet per second of water flow through an irrigator’s head gate. If his historic return flow was four CFS, that meant his consumptive use is six CFS. He would then be allowed to lease half of the six CFS, or three CFS, under the AWPWR program. That would leave him a total of seven CFS of ditch flow to irrigate with. Because he would be running less water on his land, his return flow would naturally diminish. That’s why the law requires a substitute water supply plan; it would show how the irrigator would maintain his historic return flow of 4 CFS. But that, it turns out, is the simple part. To complicate matters, irrigators don’t actually measure their water rights in a ditch company in cubic feet per second, but in shares. And farmers typically wouldn’t want to lease half of their total shares as part of an alternative transfer, even temporarily. If, for instance, a farmer owns 100 shares in a ditch company, he may want to commit half of that, or 50 shares, to the AWPWR program. Because he would have only 50 shares in the program, he could lease only half of those 50 shares. But return flow still needs to be calculated, and return flow is measured in acre feet of water per year or in cubic feet per second. 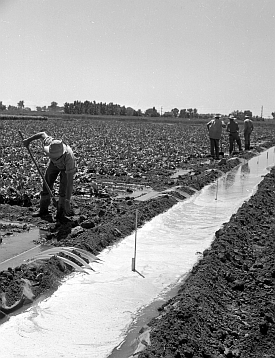 The irrigator (or his ditch company) would have to show how that return flow would be maintained. To further complicate matters, shares don’t necessarily mean a specific amount of water. The amount of water a farmer’s 50 shares contains depends on how much water is available, who else is taking water with a higher, or older, priority, and other factors. While discussion moved into the more esoteric realm of hypothetical legal matters, John Stulp, who serves as Gov. John Hickenlooper’s special policy advisor for water, reminded the group of the purpose of the new law. Joe Frank, manager of the Lower South Platte Water Conservancy District, is known to be skeptical of ATMs because there is rarely any mention of how the water is to be stored for transfer and what kind of infrastructure will be needed to transfer it. He said after the meeting that, while he thinks flexibility in determining the end user on an ATM is a good thing, the new law still doesn’t address some of his concerns. “There are still the inherent question marks about ATMs,” Frank said. “This just gives somebody who’s thinking about ATMs the ability to go to court once, change their water right, and be able to be flexible in who they lease the water to. Frank said ATMs still represent a “drying up” of some farmland because the water is being diverted from irrigation to other consumptive uses. The act authorizes an owner of an absolute decreed irrigation water right in water division 1 or 2 that is used for agricultural purposes to seek a change-in-use decree in water court to obtain an agricultural water protection water right. Under the changed water right available in water division 1 or 2, the water right owner may apply for a renewable one-year substitute water supply plan through which the water right owner may lease, loan, or trade up to 50% of the historical consumptive use portion of the water subject to the water right without designating the specific beneficial use for the leased, loaned, or traded water. The one-year substitute water supply plan authorizing the lease, loan, or trade of water may be renewed twice without reapplying if the terms and conditions of the plan remain unchanged. A new application is required every 3 years to maintain the substitute water supply plan. The transferable portion of the water subject to the water right must be delivered to a point of diversion that is subject to an existing water court decree. In early April, the Division of Water Resources (“DWR”) and the Colorado Water Conservation Board (“CWCB”) will jointly hold four informational meetings and solicit public input related to the implementation of House Bill 16-1228, known as the Agricultural Water Protection Water Right Bill. This legislation, enacted in 2016, allows water users, if they choose, to change an irrigation water right through the water court to an “Agricultural Water Protection Water Right.” The change allows a portion of the water right to be put to a new beneficial use through a substitute water supply plan (“SWSP”) approved by the State Engineer, while a portion of the original water right must continue to be used for agricultural purposes. The legislation directed the CWCB to develop Criteria and Guidelines to address provisions in the bill and directed the State Engineer to promulgate rules that would guide the approval of a SWSP. The agenda for each meeting will be the same: description of House Bill 16-1228; discussion of the draft SWSP Rules; and discussion of the draft Criteria and Guidelines for the Agricultural Water Protection Program. Please visit the DWR website for more information on the legislation, public meetings, and process for providing feedback. The CWCB’s draft Criteria and Guidelines and the State Engineer’s draft Rules related to the implementation of House Bill 16-1228 are also available on the website, and the public is encouraged to review these drafts before the meetings. Please use this link to RSVP to a particular meeting location by March 30 if you plan to attend. The Colorado Water Conservation Board and the Colorado Division of Water Resources will hold a series information and input meetings on the new Agricultural Water Protection Water Right law. There will be a meeting in Sterling April 4 from 3 to 6 p.m. at the Sterling Public Library. Correction: The meeting is April 5th. Under Colorado water law, an irrigator who wants to lease part of his water to another end-user must go through a state water court process to get what is called a “decree change.” A key to the decree change is making sure the irrigator maintains the return flow that would have resulted from using the water for irrigation. Return flow is water that has been used to irrigate a crop and either runs off or seeps down into the river aquifer to be used by irrigators downstream. Previously, the irrigator had to have a specified end user for the ATM. If a change in the end user was desired, the irrigator had to go back to water court and repeat the decree change process. Under the new law, an irrigator will be able to change the end-user by submitting a substitute water supply plan to the state engineer’s office. The SWSP will have to include an explanation of how the irrigator will maintain his return flow obligation. The irrigator will still have to have a conservation program in place through a local agency such as a water conservancy district or irrigation district. Joe Frank, manager of the Lower South Platte Water Conservancy District, said the new law is an improvement over a similar measure that was introduced a year before. He said that while such alternative transfer methods are becoming more common, they aren’t ideal as a solution to the water shortage. More Coyote Gulch coverage of HB16-1228 here. The Lower South Platte Water Conservancy District’s executive committee approved the district’s nearly $1 million budget for 2017 Tuesday morning. At its October meeting the full board authorized the executive committee to move ahead with formal adoption in November after a public hearing. Board Chairman Ken Fritzler briefly adjourned the executive committee meeting Tuesday to hold a public hearing, but there were no public comments. After re-convening, the attending members adopted the budget. The bottom line of $995,257 includes a beginning fund balance of $250,885, total tax revenue of $244,104, and two grants from the Colorado Water Conservation Board totaling $363,168, which the district will administer. One grant is to help manage the Northeast Colorado Water Cooperative and the other is for the year-long South Platte Storage Study. The other big chunk of revenue, $146,600, comes from the myriad services LSPWCD provides to water users in the area. On the expenditure side, the largest portions are personnel costs of $254,450 and a contingency reserve of $215,387. The funds shown on the revenue side for the two CWCB grants also show on the expenditure side, since they are merely pass-through funds. 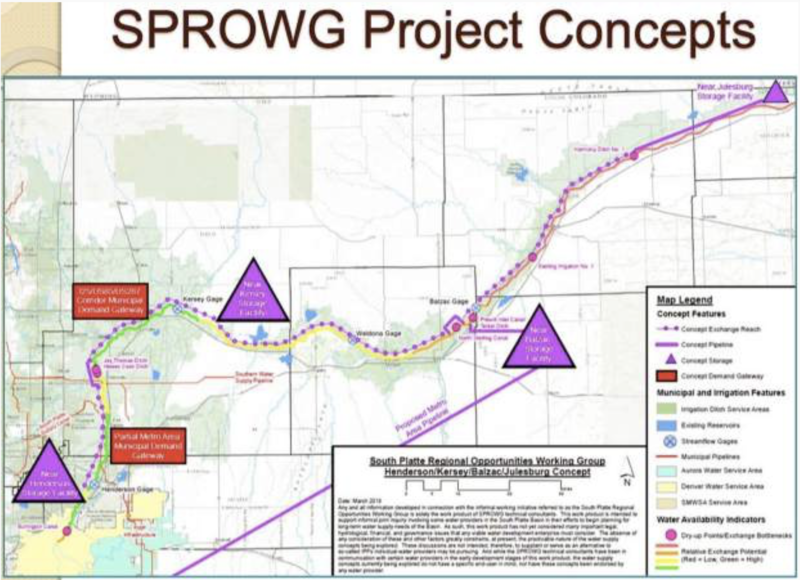 In other business Tuesday, Manager Joe Frank formally notified the committee that the district has selected MWH Global, formerly Montgomery Watson Harza, headquartered in Broomfield, and Leonard Rice Engineers of Denver as contractors on South Platte river storage survey. 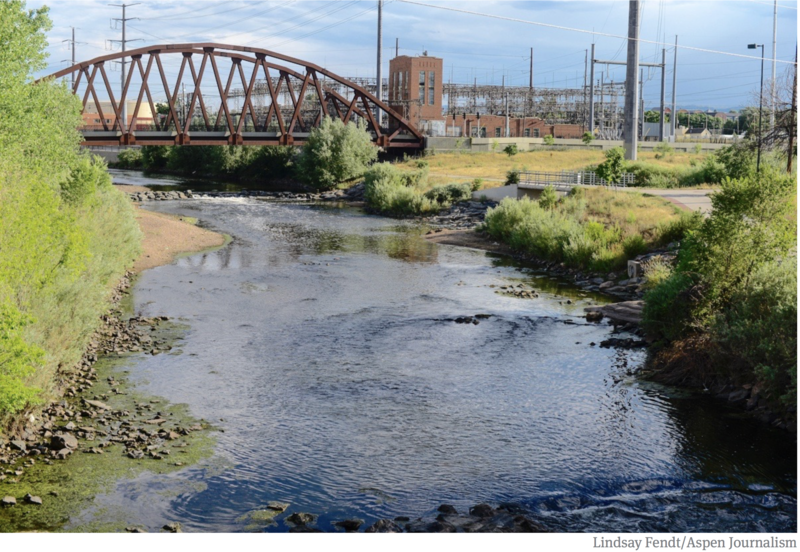 The survey is a study of water storage potential in the South Platte River basin. It is the first project in eastern Colorado to result from the Colorado Water Plan that was presented to Gov. John Hickenlooper in November 2015.The study is mandated by HB 16-1266, which is the first legislation to emanate from that water plan. Frank also told the committee that terms for five seats on the district’s governing board will expire at the end of this year. They include two seats in Logan County, two in Morgan County, and one in Sedgwick County. Board members who want to re-apply for their positions must do so in writing by the end of November.